3,000 ONG will be shared among top1-30 users in depositing ONT(ONT withdrawal amount will be deducted) according to their ONT depositing proportion among top1-20 users' ONT depositing amount. 1,000 ONG will be shared among top31-100 users in depositing ONT(ONT withdrawal amount will be deducted) according to their ONT depositing proportion among top31-100 users' ONT depositing amount. 4,500 ONG will be shared among top1-50 users in ONT trading (trading with ondslf doesn't count) according to their ONT trading proportion among top1-50 users' ONT trading amount. 2,500 ONG will be shared among after top50 users in ONT trading (trading with ondslf doesn't count) according to their ONT trading proportion among after top50 users' ONT trading amount. 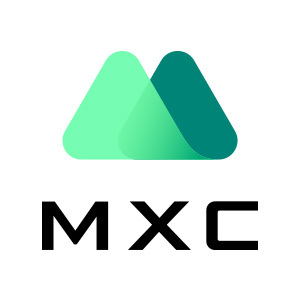 5,000 ONG will be shared among top1-250 MX holders on MXC exchange(Minimum 10,000MX) equally. Each one will get 20 ONG which is frozen but will be unfrozen in 48 hous if the users buy more than 40 ONT on MXC. These 20 ONG will be retrieved if users havn't bought 40 ONT by 14:00 (UTC+8) on Feb. 26th, 2019. These airdrop willl be distributed before 14:00 (UTC+8) on Feb. 22nd, 2019. 1, Ranking list and rewards will be distributed in 7 workdays after the competition. 2, Reward less than 0.0001 ONG will not be distributed.